Schools and universities are increasingly vulnerable to crime and violence. A school is three times more likely to be burglarized than a business, and vandalism costs schools more than $1 billion a year. According to the National Education Association, every hour of every school day, 900 teachers are threatened, and more than 2,000 students and nearly 50 teachers are physically attacked on school grounds. Safety concerns take up too much time and attention. 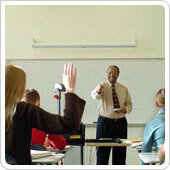 Sonitrol has provided comprehensive school security solutions for the educational community for nearly 50 years. 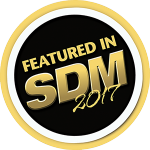 Today, Sonitrol is one of the largest providers of school security systems in North America, serving more than 12,000 schools. We are expert at assessing your school’s vulnerabilities and recommending appropriate, cost-effective solutions to secure your facilities. Sonitrol’s patented audio technology offers schools increased safety and security at the press of a button. If something happens at your school, a pressed emergency/panic button not only alerts Sonitrol operators to send help, but activates strategically place audio sensors inside the school. 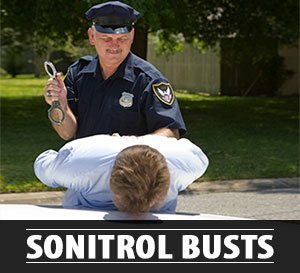 These audio sensors allow Sonitrol’s highly trained operators to hear “real-time” events. This information can be relayed to law enforcement to provide critical details to effectively handle any situation.